I saw Creations by Sharon Cupcake Mix once we had our grocery and placed it in cart since this can be cooked using an oven toaster or steamer. However, instead of making cupcakes, I made a custard-filled bread. Soften butter then add water, egg and cupcake mix. Pour in a greased aluminum pan loosely covered with aluminum foil. Put in an oven toaster and cook for about 10 minutes. Turn the pan and cook for another 6 minutes. Remove the cover and set the toaster for 3 minutes. Cool. Remove from the pan and cut in the middle horizontally. 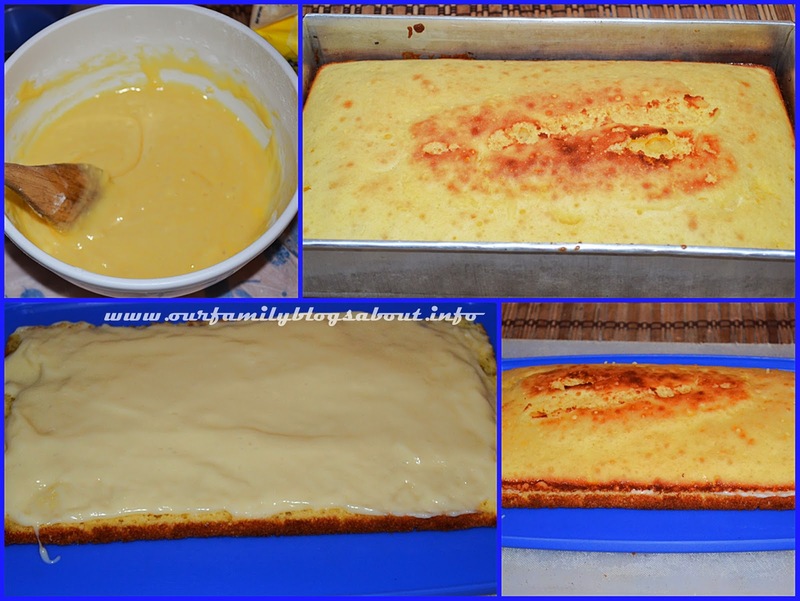 Spread the prepared custard then place on top the other half of the bread. Chill for at least 30 minutes before serving. You can also cover the bread with any frosting you want. Yes, let's use ready mix to make life easier. Now I'm thinking of using my oven this coming weekend. Bake like a pro.. hehe!